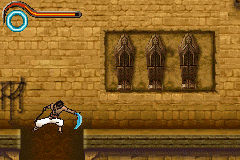 GBA Castlevania: Circle of the Moon (USA) "warp glitch" in 05:19.25 by klmz. 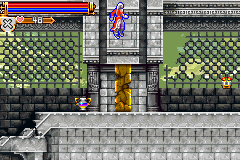 When played normally, Castlevania: Circle of the Moon is a rather long game, in which exploration, leveling up, and killing bosses in order to gain access to different items or portions of the castle is necessary. 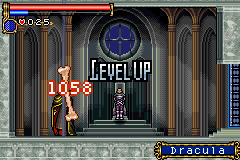 However, a bit of luck manipulation and a series of glitches involving DSS cards throw all these aspects of gameplay out of the window, allowing the player to warp directly to Dracula and kill him humiliatingly in just over 5 minutes. This movie is a 227 frame improvement over the previous movie by klmz with some more optimizations. 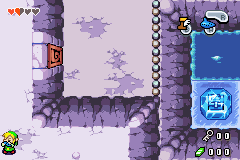 GBA Disney's Lilo & Stitch (Europe v1.0) in 19:39.34 by Corvus. 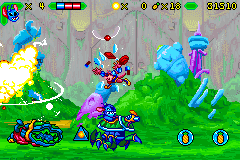 Disney's Lilo & Stitch is a 2002 side-scrolling shoot 'em up platform video game based on the Disney animated film of the same name that was released on June 7, 2002 for the Game Boy Advance. 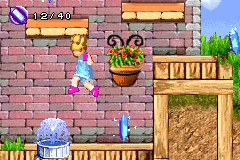 It was developed by Digital Eclipse and published by Disney Interactive, with Ubisoft distributing the game in Europe and Australia. 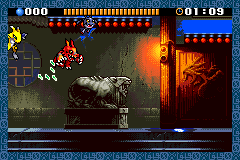 The game takes place at an unknown point of time after the original film. An extraterrestrial bounty hunter kidnaps Lilo and brings her aboard the spaceship laboratory of a robotic, mosquito-like alien named Dr. Pestus, who plans to use her as food for his genetically-modified mosquito army. Stitch must go out into space to rescue Lilo and defeat Dr. Pestus. 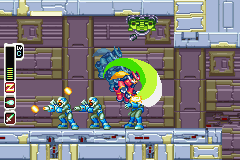 In most levels, the player takes control of a four-armed, plasma blaster-wielding Stitch who must run and gun his way past enemies and various other obstacles to complete the level. 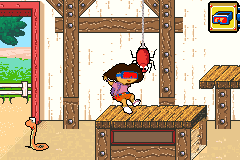 In puzzle-platform-styled levels, the player takes control of Lilo as she sneaks around the spaceship to find a way to escape and contact Stitch. 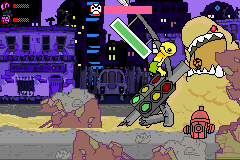 In tube shooter-styled segments, Stitch must fly a spaceship to reach the next level, shooting down other enemy ships and dodging obstacles along the way. 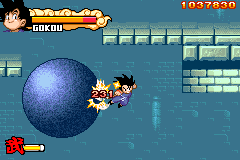 GBA Dragon Ball: Advanced Adventure (JPN) in 33:31.87 by WarHippy. What would happen if Goku lost his childlike charm? Dragon Ball: Advanced Adventure of course! 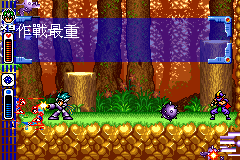 From start to finish Goku turns it up to the max and destroys all enemies with blisteringly fast combos. 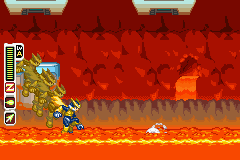 Try to keep up as Goku makes his way from novice to hero. The predecessor movie time has been beaten by 11:14.39 minutes. 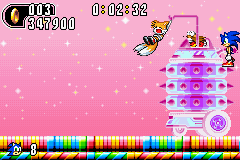 GBA Gunstar Super Heroes (USA) in 18:32.22 by Comicalflop. 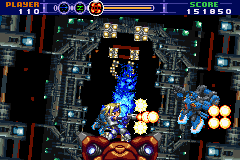 Gunstar Super Heroes is the sequel to Gunstar Heroes for the Genesis. 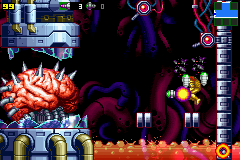 Compared to Gunstar Heroes, in this game, you can go much faster. You can also yell and shout more than should be possible in a game! 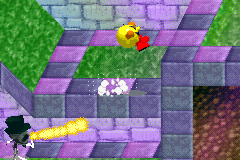 Those who experience motion sickness easily might not want to watch the autoshooter segments too closely. You have been warned. 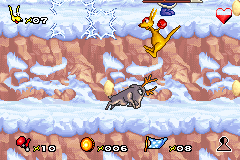 GBA Kao the Kangaroo (USA) in 14:12.3 by TASeditor. 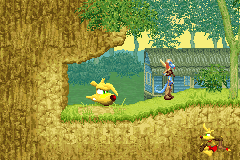 The GBA version of Kao the Kangaroo, unlike the Windows and Dreamcast versions (which are action-adventure games), is a 2D side scrolling platform game. Kao is a young kangaroo living with his family in the jungle when, one day, they are captured by a ruthless hunter and his goons. It's up to Kao to drive the invaders from his home and save his family. 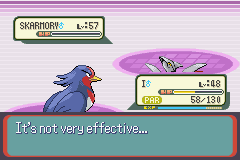 TASeditor blazes through the game in record time. 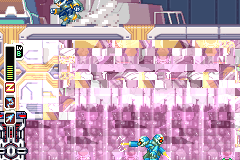 GBA Mega Man Zero 3 (USA) in 56:31.7 by hellagels. 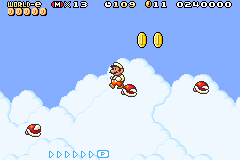 This run is 28.25 seconds faster than the previous version. GBA Ninja Five-O (USA) in 16:35.62 by Cardboard. 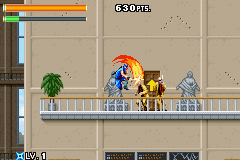 Ninja Five-O features a ninja cop battling evil ninja masters and terrorists. Joe Osugi, bizarre 'anti-terrorist ninja', is called in to assist the local police, who seem to be completely useless in rescuing some hostages. 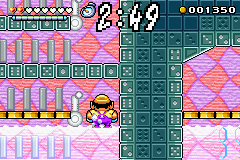 The game is basically a series of rooms connected together. 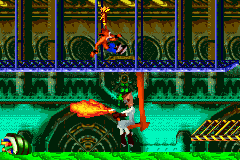 Your job is to rescue the hostages and then escape the stage through the red door. 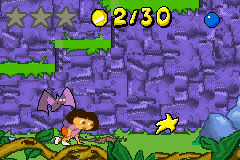 You have in your arsenal a three-level shuriken, a sword, and a grappling hook similar to the one from Bionic Commando. 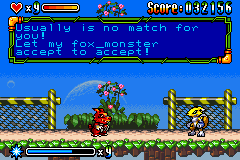 Joe also has two special abilities: to make himself invincible and to attack all enemies on screen. This new version by Cardboard is 1 minute and 31 seconds faster than the previous one by Nitsuja, containing even more ropeswinging acrobatics and ninja madness. GBA Riviera: The Promised Land (USA) in 3:13:02.05 by Flameberger. 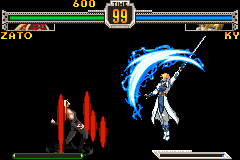 Riviera: The Promised Land is a role-playing video game originally produced in 2002 by Sting Entertainment for WonderSwan Color as the first episode of the Dept. 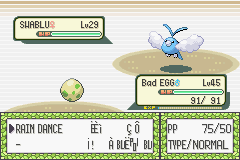 Heaven series of games. 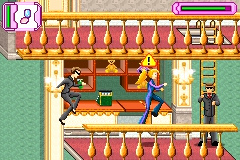 The game was later introduced to Nintendo's Game Boy Advance in 2004, which Atlus USA released in North America in 2005. 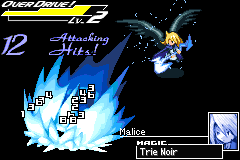 The player takes the role of Ein, a Grim Angel, who must battle against demons as well as antagonistic Grim Angels to seal away the four fountainheads of evil known as the Accursed. 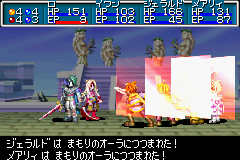 He is accompanied by four heroines—Fia, Lina, Serene and Cierra—as well as his cat-like familiar Rose. 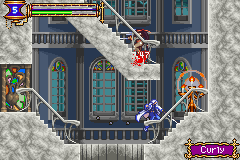 Riviera also contains dating sim elements, as the hero can achieve multiple endings with the supporting characters through decisions made throughout the game.